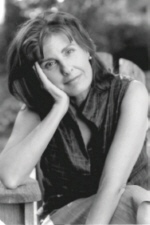 Alice Kaplan was born in 1954 in Minneapolis, the youngest of three children. She studied as an undergraduate at Vassar College and at the University of California at Berkeley, and received her Ph.D. from Yale University in 1981. Her thesis was published in 1986 as Reproductions of Banality: Fascism, Literature, and French Intellectual Life in the prestigious “History and Theory of Literature” collection at the University of Minnesota Press. In 1988, Kaplan published a French book-length critique of Céline’s first anti-Semitic pamphlet, Bagatelles pour un massacre. The 1993 French Lessons, an autobiographic account of her passion for the French language, became a best-seller for the University of Chicago Press. The book was chosen as “Notable Book of the Year” by the New York Times and was a finalist for the National Book Critics Circle Award. Written on a Guggenheim Foundation grant, Kaplan’s next book, The Collaborator: The Trial and Execution of Robert Brasillach (2000), was a finalist for the National Book Award, the National Book Critics Circle Award, and the Los Angeles Times Book Award. The Collaborator was chosen as a “Notable Book of 2000” both by the New York Times and the American Library Association and ultimately won the 2000 Los Angeles Times Book Award in History. Kaplan’s latest book, The Interpreter, came out in 2005 and was awarded the Society for History in the Federal Government’s 2006 Henry Adams Prize.